Good morning Class! Sit up straight! Betty! Please quit poking Maggie in the back! Jackie! Please pay attention! This is important. 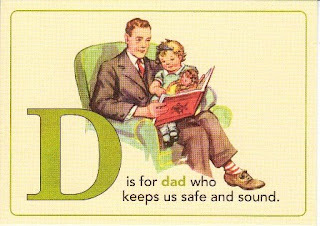 Today our letter is the letter for Alphabe-Thursday. Can you all say the letter "D" for me? Your linked post for the Letter "D" counts toward our first Alphabe-Thursday prize AND because I'm doing a giveaway every single day this week it will also count toward the prize I am giving away tomorrow. I don't know what the prize is yet. But there will a be a prize! And please don't tell the Prinicipal I am conducting contests on school property. I do not want that to go on my permanent record. If you have any ??? 's about Alphabe-Thursday or problems doing your link just post it in a comment or send me an e-mail. I'll do my best to help you. Please file your letter "D" papers in the McLinkey now, Class. Once again, Jenny, I could not get this McLinky thing to work...I do not know what I'm dong wrong as I participate in some other memes where I put in my blog with the McLinky and it takes it....so I've written my "D is for desserts" but it won't refer to it. Jenny, thanks for hosting Alphabet-Thursday every week! To answer your question, my daughter, took lessons, competed, and performed for many (9) years. Her teacher was a TCRG (certified teacher in Gaelic dance) from Belfast Ireland. It was a wonderful cultural learning experience for all of us. I thought I'd post here and maybe they'll see it, but #12 the link doesn't work for me and #15 I can't leave a comment because the word verification box doesn't appear. I tried twice to leave a comment. Dad looks like my kind of man!! He sure knows how to have fun and it appears the rest of the family does too! I could have written my "D"-word instead of my site name. My "D"-word is " D R E S S - U P " !! Love the graphic. I used it once but it wasn't cute like yours. Sounds like fun for some and a bit headachy for others. But you'll get it going right...you're the TEACH! New to the blog..is this a weekly post title for you? Cute. Looking at this again..I need clarification but I'm slow like that.